Why is it said that the practice of those in the religious churches is outdated? It is because what they put into practice is divorced from the work of today. 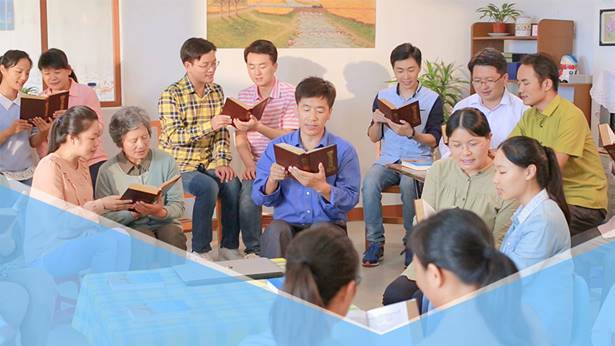 In the Age of Grace, what they put into practice was right, but as the age has passed and God’s work has changed, their practice has gradually become outdated. It has been left behind by the new work and the new light. Based upon its original foundation, the work of the Holy Spirit has progressed several steps deeper. Yet those people still remain stuck at the original stage of God’s work, and still cleave to the old practices and the old light. God’s work can change greatly in three or five years, so would not even greater transformations occur over the course of 2,000 years? If man has no new light or practice, it means that he has not kept up with the work of the Holy Spirit. This is the failing of man; the existence of God’s new work cannot be denied because, today, those with the Holy Spirit’s original work still abide by outdated practices. The work of the Holy Spirit is always moving forward, and all those who are in the stream of the Holy Spirit should also be progressing deeper and changing, step-by-step. They should not stop at a single stage. Only those who do not know the work of the Holy Spirit would remain amongst His original work, and not accept the new work of the Holy Spirit. Only those who are disobedient would be incapable of gaining the Holy Spirit’s work. If the practice of man does not keep pace with the new work of the Holy Spirit, then the practice of man is surely dissevered from the work of today, and is surely incompatible with the work of today. Such outdated people as these are simply incapable of accomplishing God’s will, much less could they become those final people that will stand testimony to God. The entire management work, furthermore, could not be concluded amongst such a group of people. For those who once held to the law of Jehovah, and those who once suffered for the cross, if they cannot accept the stage of work of the last days, then all that they did will have been in vain, and useless. The clearest expression of the Holy Spirit’s work is in embracing the here and now, not clinging to the past. Those who have not kept up with the work of today, and who have become separated from the practice of today, are those who oppose and do not accept the work of the Holy Spirit. Such people defy the present work of God. Though they hold onto the light of the past, this does not mean it is possible to deny that they do not know the work of the Holy Spirit. … Those who are outside the stream of the Holy Spirit always think they are right, but in fact, God’s work in them ceased long ago, and the work of the Holy Spirit is absent from them. The work of God was long since transferred to another group of people, a group on whom He intends to complete His new work. Because those in religion are incapable of accepting God’s new work, and only hold to the old work of the past, thus God has forsaken these people, and does His new work on the people who accept this new work. These are people who cooperate in His new work, and only in this way can His management be accomplished. In each stage of God’s work there are also corresponding requirements of man. All those who are within the stream of the Holy Spirit are possessed of the presence and discipline of the Holy Spirit, and those who are not within the stream of the Holy Spirit are under the command of Satan, and without any of the work of the Holy Spirit. People who are in the stream of the Holy Spirit are those who accept the new work of God, the ones who cooperate in the new work of God. If those who are within this stream are incapable of cooperating, and unable to put into practice the truth required by God during this time, then they will be disciplined, and at worst will be forsaken by the Holy Spirit. ... Not so for the people who do not accept the new work: They are outside the stream of the Holy Spirit, and the discipline and reproach of the Holy Spirit do not apply to them. All day, these people live within the flesh, they live within their minds, and all that they do is according to the doctrine produced by the analysis and research of their own brains. It is not the requirements of the Holy Spirit’s new work, much less is it cooperation with God. Those who do not accept the new work of God are bereft of the presence of God, and, moreover, devoid of the blessings and protection of God. Most of their words and actions hold to the past requirements of the Holy Spirit’s work; they are doctrine, not truth. Such doctrine and regulation are sufficient to prove that the only thing that brings them together is religion; they are not the chosen ones, or the objects of God’s work. The assembly of all those among them can only be called a grand congress of religion, and cannot be called a church. This is an unalterable fact. They do not have the Holy Spirit’s new work; what they do seems redolent of religion, what they live out seems replete with religion; they do not possess the presence and work of the Holy Spirit, much less are they eligible to receive the discipline or enlightenment of the Holy Spirit. These people are all lifeless corpses, and maggots that are devoid of spirituality. They have no knowledge of man’s rebelliousness and opposition, have no knowledge of all of man’s evildoing, much less do they know all of God’s work and God’s present will. They are all ignorant, base people, they are scum that are unfit to be called believers! If people treat the truth as dogma to be adhered to, are they prone to falling into religious ceremony? And what is the difference between this kind of religious ceremony and Christianity? While what is said may be deeper and more progressive, if it becomes a kind of doctrine and a form of ceremony, then hasn’t it become Christianity? There are differences between the old and new teachings, but if the teachings are nothing more than a kind of theory and if they just become a form of ceremony, of doctrine for people—and, likewise, they cannot gain the truth from it or enter into the reality of the truth, then isn’t their faith just the same as Christianity? In essence, isn’t this Christianity? (Yes.) So in your behavior and the performance of your duty, in which things do you hold the same or similar views to believers in Christianity? The pursuit of superficial good behavior, then doing your utmost to create a pretense for yourself using the appearance of spirituality; impersonating a spiritual person; giving the appearance of spirituality in what you say, do, and reveal; doing a few things that, in people’s notions and imaginings, are praiseworthy—all this is the pursuit of false spirituality, and it is hypocrisy. You stand upon high speaking words and theory, telling people to do good deeds, to be good people, and to focus on pursuing the truth, but in your own behavior and the performance of your duty, you have never sought the truth, you have never acted according to the principles of the truth, you have never understood what is spoken of in the truth, what God’s will is, what the standards that He requires of man are—you’ve never taken any of this seriously. When you encounter some issues, you act entirely according to your own will and put God aside. Are these external actions and internal states the fear of God and shunning of evil? If there is no connection between people’s faith and their pursuit of the truth, no matter how many years they believe in God, will they be capable of genuinely fearing God and shunning evil? (No.) And so what kind of path can people like that walk? What do they spend their days equipping themselves with? Isn’t it with words and theories? Do they not spend their days arming themselves, dressing themselves up with words and theories, to make themselves more like the Pharisees, more like people who supposedly serve God? What are all these actions? They’re just going through the motions; they’re waving the flag of faith and performing religious rites, trying to deceive God in order to achieve their aim of being blessed. They do not worship God at all. In the end, won’t such a group of people end up just like those within the church who supposedly serve God, and who supposedly believe in and follow God? What is God’s name for those who believe in Jehovah? They are in a religious group—Judaism. They became a kind of religious group. And how does God define those who believe in Jesus? They are defined as part of the religious group Christianity, right? In God’s eyes, Judaism and Christianity are religious groups. Why does God define them thus? Among all those who are members of these religious bodies defined by God, are there any who fear God and shun evil, do God’s will, and follow the way of God? (No.) In God’s eyes, could those who nominally follow God all be people He acknowledges as believers in God? Could they all have a connection with God? Could they all be targets for God’s salvation? (No.) Although you have now accepted God’s work of the last days, will a day come when you are reduced to what God sees as a religious group? That seems inconceivable. If you become part of a religious group in God’s eyes, you will not be saved by Him and it means you are not of the house of God. So try to summarize: These people who nominally believe in the true God but whom God believes to be part of a religious group—what path do they walk? Could it be said that these people walk the path of waving the flag of faith without ever following His way or worshiping Him, and instead forsaking God? That is, they walk the path of believing in God but worshiping Satan, carrying out their own management, and trying to establish their own kingdom—is this the essence of it? Do people like this have any connection to God’s management plan for the salvation of man? (No.) No matter how many people believe in God, as soon as their beliefs are defined by God as being a religion or group, then God has determined that they cannot be saved. Why do I say this? In a gang or crowd of people who are without the work and guidance of God and who do not worship Him at all, who do they worship? Who do they follow? In their hearts they acknowledge God, but in fact, they are subject to human manipulation and control. In name, they probably follow a person, but in essence, they follow Satan, the devil; they follow the forces that are hostile to God, that are enemies of God. Could God save a pack of people such as this? Are they capable of repentance? They wave the flag of faith, carrying out human enterprises, conducting their own management, and they run counter to God’s management plan for the salvation of mankind. Their final outcome is being detested and rejected by God; God could not possibly save these people, they could not possibly repent, they have already been captured by Satan—they are entirely in Satan’s hands. … if people are incapable of following the way of God and incapable of walking the path of salvation, what will be their final outcome? Their final outcome will be the same as those who believe in Christianity and Judaism; there will be no difference. This is God’s righteous disposition! Regardless of how many sermons you’ve heard, and how many truths you’ve understood, if ultimately you still follow people and follow Satan, and ultimately, you are still incapable of following the way of God and unable to fear God and shun evil, then people such as this will be detested and rejected by God. To all appearances, these people who are detested and rejected by God can talk much about letters and doctrines, and yet they are incapable of worshiping God; they are incapable of fearing God and shunning evil, and are incapable of total obedience to God. In God’s eyes, God defines them as a religion, as just a group of humans, and as a lodging place for Satan. They are collectively referred to as the gang of Satan, and they are utterly despised by God. What do we mean when we talk about “following God”? We mean experiencing the work of God and accepting the truth. If you do not accept the truth, if you do not experience the work of God, then you are not experiencing the judgment and chastisement of God, which means you do not follow God. What do we call those who do not follow God but who believe in God? We call them religious believers. Isn’t this the kind of belief of those who believe in God within the religious world? They only believe in the God in heaven, but they do not follow God and they do not experience the work of God, they just hold on to their Bible, they just hold on to their so-called scripture. Every day, they read a paragraph and pray in a religious manner, and that is the end of it. It has nothing to do with their own life, with the way they live. They just do whatever they ought to do. This is what is known as religious belief. They do not accept the new work of God, nor do they experience the work of God. So, their faith is just there to fill a void in their spirit, to satisfy their suffering hearts, and to search for some kind of sustenance. Will people with this kind of faith be able to bear a resounding, beautiful witness to God? Certainly they will not be able to bear witness, because they do not focus on expending themselves for God, nor paying a price, nor obedience to God, nor life. Because of this, they do not bear witness. So, whenever they are persecuted, there are very few among them who are able to stand firm. When their lives are on the line, they all betray God. Perhaps some of you will refute this, and say: “In the Age of Grace and in the Age of Law, were there not a lot of martyrs?” That isn’t wrong. Those martyrs had the work of the Holy Spirit, they too were followers of God in those ages. Their belief was not religious belief. Those who experienced the work of God during the Age of Law were people who followed God in the Age of Law. Those who experienced the work of God during the Age of Grace were people who followed God in the Age of Grace. In the Age of Kingdom, those of us who experience God’s work in the last days are also followers of God. 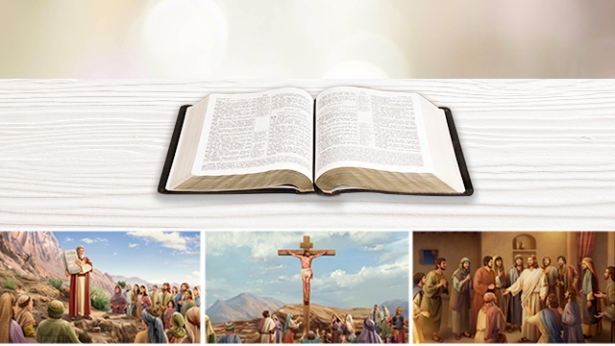 However, while God incarnate of the last days is carrying out His work personally, believers who are still in the Age of Grace and those in the Age of Law do not accept God’s work of the last days or follow Christ of the last days, and so their faith in God has turned into religious belief. First, we must understand how religious circles are formed and the difference between church and religion. It is very necessary to clarify these issues. We see from the Bible that during every stage of God’s work, God’s chosen people were led and shepherded by those that God had personally established and appointed. For example, during the Age of Law, God directly used Moses to lead the people of Israel, and He had Moses organize the priestly system. After Moses’ work was completed, there were no more people on earth that were directly appointed by God to lead the Israelites. Priests began to be elected by the people. This is the background to the creation of Judaic religious circles. Since then, the priestly system in Judaism has been formed by elections from religious circles. Very often, religious circles became gradually corrupted because the wrong priests were selected. When the incarnated Lord Jesus appeared and worked during the Age of Grace, religious circles had fallen to the degree that they resisted and condemned Christ and became enemies of God. This is a fact that everybody at that time witnessed. When the Lord Jesus came to earth to do His work of redemption, He personally selected the twelve disciples. The Holy Spirit also started working then, and was with the Lord Jesus’ disciples. At this time, a gathering of those on earth that accepted the work of the Lord Jesus was called a church, and they were completely shepherded by people appointed by God, in other words, people used by the Holy Spirit. At this time, the true church was created, and this is the source of the church. Over thirty years after the Lord Jesus’ resurrection and ascent into heaven, most of the twelve disciples had died for the faith, and the church on earth was no longer shepherded by the Lord Jesus’ directly appointed disciples. So, various kinds of religious groups were formed. This is the background for the creation of religious circles during the Age of Grace. After that, regardless of whether or not people had the work of the Holy Spirit, as long as they could speak about the Bible, they could organize a church. As long as they were gifted, people would agree with them and follow them. They could work and preach as they liked without anyone restricting them, so various denominations began to form. What is a church, and what is religion? We could say that groups led and shepherded by people used by the Holy Spirit are churches, while those led and shepherded by people not used by the Holy Spirit are religion. This is the simplest, truest division. True churches have the work of the Holy Spirit. The work of the Holy Spirit very rarely appears in religion, and even if it does, it is only in the few people who truly believe in God and pursue the truth. This is the difference between church and religion. For churches, it is critical whether shepherds are worked on and used by the Holy Spirit. If the shepherd is someone who pursues the truth and walks the correct path, then the work of the Holy Spirit is present. If the shepherd is not someone who pursues the truth and walks the path of the Pharisees, then the work of the Holy Spirit is not present. As long as people can distinguish between real and false shepherds, they can find a real church. Previous：What is engaging in religious ceremony? Next：What is an antichrist? How can an antichrist be discerned? The Bible is only a record of God’s two stages of work in the Age of Law and the Age of Grace; it is not a record of the entirety of God’s work. Because they are able to testify to God, and devote all their efforts to God’s work, those who truly love God can walk anywhere beneath the heavens without anyone daring to oppose them, and they can wield power on earth and rule all the people of God. ...Those who love God can walk freely throughout the world, those who testify to God can travel across the universe. These people are beloved by God, they are blessed by God, and they will forever live in His light.